I believe that I have now watched The Bourne Legacy (dir. Tony Gilroy, 2012) four times. I have undoubtedly watched the other entries in the Jason Bourne series at least that many times as well, but the opening scenes of The Bourne Legacy, in particular, are rich in lethal drone content and invariably impel me to begin formulating the plan to compose an essay, though it usually gets shunted down my list of things to make and do for a later date. Not this time. Last night I watched The Bourne Legacy again and recalled why the film seems so important to me. It depicts a very frightening world, not unlike that of You Can Leave, where the US government has grown several layers of shadow bureaucracies beyond the ability of any individual to attempt to penetrate and expose without paying the ultimate price–and in all likelihood for naught, given the fail-safe security mechanisms firmly in place. The reason why this film is so important in the Drone Age is not merely the obvious fact that drones are used in the early part of the story to home in on and extrajudicially incinerate people in the US homeland. The eerily clinical demeanor of the drone operators depicted and the assiduousness with which they hunt down their human targets in not just double-tap but triple-tap strikes are certainly a cause for pause–wherever the victims happen to be located. But even granting that unmanned combat aerial vehicles (UCAVs) have as much (or little) legitimacy as manned aerial combat vehicles, drones do seem to possess a peculiar potential for abuse, given that they can be deployed without implicating the killers–or those who hire them to kill. It has already been established that persons in the position to nominate targets to US government “kill lists” (of which there are at least three) are fully prepared to include Americans among their quarry, denying them not only their right to life but all of their civil rights as well. Anwar al-Awlaki may or may not have deserved to die, but those on high who killed him believed that he did, and that alone sufficed for them to be able to take his life with little protest from the citizens who paid for the hit. We still do not know why his son, Abdulrahman Al-Awlaki, was also killed by a drone, for the story was effectively buried under a thick blanket of “State Secrets Privilege”. It is beyond dispute that the US government has covert doings underway, as evidenced by the very existence of the CIA and also the Black Budget, about which many US citizens appear to be ignorant. Generously funded covert programs, being conducted in near total secrecy, with participants apprised only of information on a “need to know” basis, effectively furnish a small group of zealous bureaucrats with the ability to commit murder and mayhem at their behest, and according to their caprice, eliminating anyone anywhere who strikes them as threatening–in any sense. The Bourne Legacy, along with all of the other Jason Bourne films, underscores how such programs can remain in the shadows, metastasizing in pernicious ways because they are not subject to oversight and are completely opaque, impenetrably protected by a pretext of national security. Once established, such programs easily elude any possible control, because those who run the programs–invariably self-proclaimed “patriots”–regard themselves as defending the institution qua organ of the US government. They do not seem to recognize that, in fact, kill squads and assassinations painted as suicides, heart attacks, strokes, and accidents of various sorts have no place in any government which claims to be a constitutional republic with democratic underpinnings. Instead, these are the means and methods of autocrats, despots and degenerates, and they come to be wielded by banality of evil-types who appear actually to believe that “Everything is permitted,” for they are, as the Edward Norton character explains, self-styled “sin-eaters” and regard themselves as doing what is “morally indefensible” but “absolutely necessary”. Of course, they are deeply mired in self-delusion, but who in the world could convince them of that? Anyone who attempts to criticize such systems is painted as a traitor, which is precisely why the plight of whistleblowers in recent times has been dire. The inevitable corruption of such systems makes matters even worse, given the fallible nature of human beings, who are easily lured into complicity and then forever shackled to the crimes of their past, which the perpetrators will commit further crimes in order to cover up. When “Everything is permitted,” in the mind of a person empowered to act in secrecy and with absolute impunity, there are no limits to what can and will be done, all on the taxpayer’s dime. It’s really quite remarkable. All of the Jason Bourne movies offer trenchant criticisms of the CIA and the types of persons who rise to lead such an organization (torturers, pathological liars, and despicable human beings more generally), but The Bourne Legacy presents an especially unsettling scenario because the people being eliminated have not in fact posed any threat to the system of which they are a part. They have given no indication whatsoever of any potential for whistleblowing or other forms of what may be regarded as “treachery” but are considered dangerous in virtue of their knowledge alone, despite its compartmentalized nature. Even when there seems little likelihood that they would divulge any of what they do know to anyone, they are determined by the powers that be to require “elimination” in order to preclude that possibility in the future. This approach, the preemptive thwarting of potential future threats is highly relevant to the Drone Age. In the US drone program, thousands of suspects have been killed preemptively in order to fend off the very possibility that they might perpetrate terrorist acts in the future. 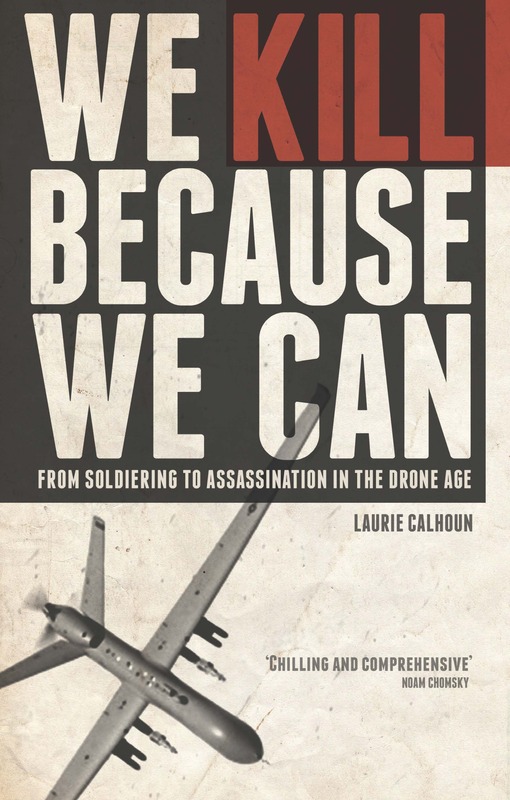 Meanwhile, all of the bereft and maimed survivors–millions of persons living under lethal drones–have been terrorized not potentially but actually, in reality, by the US killing machine. In The Bourne Legacy, the corrupt administrators, like those in all of the earlier Jason Bourne films, view themselves as “tying off” programs with the potential for implicating themselves in malfeasance. They opt to whack everyone involved rather than take the chance that any one of the participants might decide to testify before Congress about the latest executive branch overreach. As shocking as such an idea may seem, in fact, combat soldiers are regularly sacrificed in similar ways for wars which never needed to be waged. A terrifying array of crimes are committed under the aegis of the US government in The Bourne Legacy: the distribution of lethal “supplements” to operatives who suddenly and “inexplicably” die shortly thereafter; the planting of stories in the mainstream media to discredit possible future whistleblowers; the attempted “suiciding” of a research scientist who has worked in an innocuous capacity, measuring operatives’ bodily changes as they are “redesigned” using drugs and viral modifications of DNA; the commandeering of one member of the research group to “go postal” and kill all of the rest of the members of the group (himself included) in what is made to seem to be some sort of equally “inexplicable” psychotic break from reality (though it was obviously drug-induced or otherwise provoked). All of these crimes are made possible by the government’s techniques of mass surveillance. The Bourne Legacy is a work of fiction, but all of these appalling ploys are available options to persons in high places with access to covert means and a black budget, and who are, in virtue of the fact that they agree to run such programs, apparently of the opinion that they occupy a space “beyond the pale” of morality. As more and more persons of conscience and integrity decline to participate in such morally unsavory institutions, we should expect the percentage of sociopaths at the highest levels of government to continue on its ascendant path, making the world not more but less safe for everyone else. Jeff Schechtman of Who.What.Why recently interviewed Laurie Calhoun about You Can Leave. An array of topics were covered, ranging from chemical warfare to drones to citizens’ complacency, government bureaucrats’ desire to hold onto and expand their power, and the mysterious disappearance of effective dissidents. Click here to listen to the 33-minute conversation. The audiobook for You Can Leave is now live and available for sampling and purchase. Be among the first to listen to this harrowing tale of struggle and survival in a world gone morally mad and bureaucratically bad. John Harrison recently interviewed Laurie Calhoun on the radio program “Brave New World” about her new book, You Can Leave: a novel. Topics discussed include the potential dangers of new technologies for dissidents and how mass surveillance and covert targeting practices used in the drone program could be commandeered by bad actors.